30 July 2005: A case brought by the government of Spain against the UK concerning the voting rights of the City of Gibraltar in European Parliamentary elections could adversely affect the future ability of Commonwealth citizens to vote in British elections. Spain argues that the 2003 decision to allow citizens of the tiny British overseas territory on its mainland to vote in Euro elections is against EU rules and has called on the European Court of Justice to arbitrate in the dispute. The case is only one of many disagreements between the two governments over the future of the city, which was ceded to the UK by treaty in 1713. Spain’s contestation is based on three points. Firstly, it argues that the decision of the UK government to include Gibraltar, which sits on the southern tip of the Iberian Peninsula, in the South West of England European Parliamentary region was illegal. Secondly, it argues that separate provisions to allow Commonwealth citizens (those resident in Britain from its former colonies) to vote in EU elections even if they are not EU citizens is also illegal. Finally, it disputes the means by which Gibraltarians were enfranchised to vote in the 2004 European Parliamentary elections as it argues that the UK changed only its laws on elections, not the EU regulations. The case raises many difficult constitutional questions and while the outcome is not likely to affect the sovereignty of the colonial possession, it may affect the ability of Commonwealth citizens to vote in future EU elections. The UK government argues that Gibraltar was added to the South West region as its 20,000 voters are too small a group to merit their own Euro MP. Following a European Court of Human Rights judgement in 1999, the UK was obliged to allow Gibraltarians the right to vote in future European Parliamentary elections and deliberated on where its voters should be positioned within its allocation of Euro MPs and felt that the South West region was the most logical geographically. However, as the UK’s remaining overseas territories do not share the same legal status as those in other EU states (most notably France, Spain and the Netherlands), the constitutional position of their residents remains uncertain. Under UK electoral law, both EU and Commonwealth citizens are able to vote in local and Euro elections while resident in the UK (though not elections to the Westminster Parliament). Gibraltar’s citizens have been part of the EU since British accession in 1973, pre-dating both the restoration of Spanish democracy following the death of General Franco in 1975 and Spain’s own accession in 1985. Gibraltar itself represents a curious multi-lingual and multi-cultural community, with both English and Spanish speakers among its residents. As well as those of English descent, there are sizeable numbers of people with Spanish, Portuguese, Italian and Maltese backgrounds. There are Christian, Jewish and Muslim adherents represented among its faith communities. 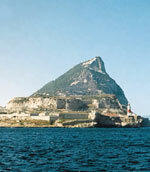 Because of its strategic position, Gibraltar has been of significance since Britain acquired a naval capacity and the outpost has been fought over since the time of the Moors. In 1703, England captured the rock of Gibraltar during the War of Spanish Succession, though it was not officially ceded by Spain until 1713 with the Treaty of Utrecht. It became a recognised British colony in 1830, with a substantial garrison that remains to this day. Since that date, Spain has argued for its return, unsuccessfully. During the 1960s the Spanish government sought to use the UN to achieve the return of the territory, under the Special Committee of Decolonisation. General Franco blockaded the city in 1969, with limited border access only being re-established in 1985. Comparisons have been made by opponents of the status quo with the Asian city state held by Britain until 1997, Hong Kong, which it handed back to China without protest. However, the citizens of Gibraltar remain resolutely opposed to the idea of Spanish sovereignty and have confirmed this in two referendums in the last 35 years. Similarly, those contesting Spanish claims point to Spain’s own colonies in Morroco, Ceuta and Mellila. The 1967 referendum was followed by a new constitution in 1969, which granted full self-government to the colony, which led to Franco’s historic blockade. The second referendum in 2002 saw 99 per cent of voters reject Spanish sovereignty. Gibraltar is a British Overseas Territory with full self-government. Its legal form is the City of Gibraltar under its most recent constitution. Throughout its history as a British possession it has been well-developed politically, with a strong civic society and appetite for local rule. However, under the former colonial regime where rule was undertaken by a Governor appointed from London, some local autonomy was present under the City Council created in 1921, though this was suspended during the evacuation that took place in the Second World War. In 1945, the City Council was reconstituted as an elected body. The authority of the Governor was ended in 1950 with the creation of a partially elected Legislative Council for the colony, which became mostly elected incrementally. In 1967, following the crisis caused by mounting Spanish diplomatic activity aimed at achieving incorporation of the territory into Spain, the City Council was wound up and its affairs transferred to the Legislative Council. Following the 1967 referendum, a Constitutional Conference was held and the Legislative Council reformed into a new House of Assembly, with a new constitution taking effect in 1969 that remains in operation until this day. The House of Assembly consists of fifteen elected members and a Speaker appointed by the Governor in consultation with its members. The leader of the largest political party acts as the Chief Minister. Though considerable in breadth, the government’s powers are limited to local affairs, as the Governor remains responsible for the “security of the fortress”. The Chief Minister, since 1996, is Peter Caruna of the Gibraltar Social Democrats. The Speaker of the House is The Hon Judge John E Alcantara CBE. The Mayor of the City of Gibraltar is Clive Beltran, also a member of Mr Caruna’s government as Minister for Heritage and Culture. As well as the ceremonial post of Mayor of the City of Gibraltar contained in the 1969 constitution, some vestiges of the old city remain, such as the Gibraltar City Fire Brigade and the Honorary Freedom of the City of Gibraltar. However, it is most commonly externally referred to by its geographic entity, the Rock of Gibraltar. The territory stands at five kilometres in length and one kilometre in width. It is renowned for the Barbary Apes, which populate the rock itself, and serves as a NATO base. The Treaty of Utrecht or, giving it its correct title, the Peace of Utrecht is not one treaty but a series of treaties seeking to establish European relations after end of the War of the Spanish Succession (1701 - 1713). Historians regard it as an important political victory of England over France. In a treaty between England and France, signed in April 1713, French Emperor Louis XIV recognised the House of Hanover as England’s royal dynasty. The French also agreed to raze the fortification at Dunkirk and to fill in its harbour. The Hudson Bay territory (Canada), Acadia, St Kitts and Newfoundland were to be handed over to England. In a treaty between France and the Netherlands (April, 1713), France agreed to hand over the Spanish Netherlands to Austria, with the Netherlands holding the region in trust until the conclusion of a treaty between Netherlands and the Austrian Emperor. In an agreement between France and Savoy, France handed Nice to Victor Amadeus II and recognised him as King of Savoy. 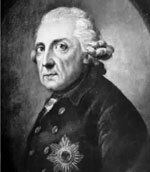 Separately, France recognised the kingship of the Hohenzollern ruler Friedrich the Great in Prussia. In the Anglo-Spanish treaty of 13 July 1713, Spain ceded Gibraltar and Minorca to Britain and Sicily to Savoy. Spain also granted Britain the sole rights to the Spanish American slave trade. The German region of Baden, with the cities of Freiburg, Rastatt and Baden-Baden, were returned by France to Austria in treaties signed in September 1714. These treaties also confirmed the Austrian possession of the Spanish Netherlands, Naples and Milan.